While the fine detail is yet to be worked out, it seems a solution has been found to the issue of providing safe storage for the Gerringong Museum’s exhibits while awaiting a move into the renovated School of Arts (as reported in an earlier Bugle). Ironically, the solution lies under the same roof now protecting it – just in another location. The Men’s Shed and Gerringong Lions have suggested to Council that volunteers dismantle the current Museum building (which is basically a farm shed), and rebuild it adjacent to the existing Men’s Shed on the nearby football grounds. It could then provide space for the Museum collection until the building project is completed, and also much-needed storage for Gerringong Lions equipment, currently stored in the School of Arts. Long term, members of Gerringong Men’s Shed could also use the building. It provides a win-win solution for three community organisations, as well as a viable sustainable re-use of the building. 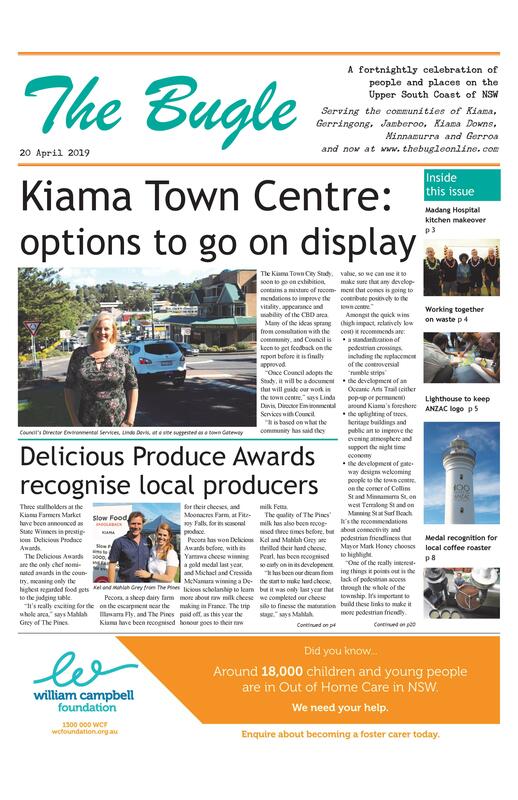 She says that Kiama councillors recently paid a visit to the Museum, many for the first time, and were fulsome in their praise of the models and historic items on display.